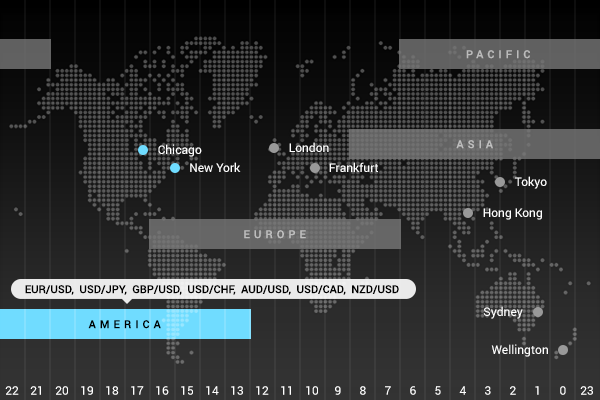 Currencies are traded 24 hours a day, 5 days a week around the world. Trading Market opens Monday morning in Wellington, New Zealand and stays open till the Friday night in New York, USA. Knowing which trading session is active now can help with choosing a pair to trade and which economic events to review before trading. With major trading center in Tokyo, Asian session also includes China, Australia, New Zealand and Russia. The first financial center to open after the weekend is actually Wellington, New Zealand, while Tokyo capital market itself only opens at 2 AM EET (3 AM EEST). Closing hours overlap with the beginning of the European session. Important economic data from the region that may affect European and American session are released during that time. 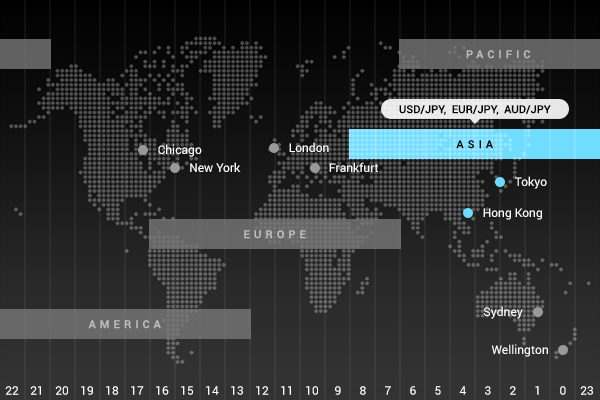 You can expect significant price movements on USDJPY, EURJPY and AUDJPY. When financial centers through Asia are about to close, European markets start their day. Since European session coincides with both Asian and American ones, there is normally an increase in volatility and market liquidity, however, spreads tend to be more tight during the London session. The most significant economic news are released from the eurozone, the United Kingdom and Switzerland. It is not uncommon for a trend started during the European session to continue until the beginning of New York session. 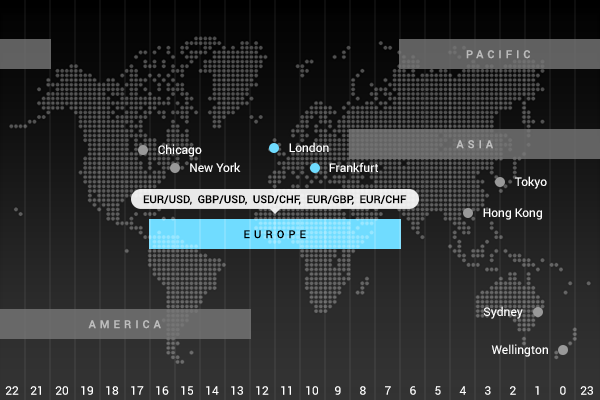 The most liquid pairs are EURUSD, GBPUSD, USDCHF, EURGBP and EURCHF. Dominated by the US with the major financial center in New York, American session also includes Canada and South American countries. Naturally, there is high liquidity in the first half of the session, while the european markets are still open. A number of economic indicators that have a profound impact on the market are released by the US and Canada, so make sure to check economic calendar in advance to keep track of the upcoming news. Since the most of Forex transactions involve USD, you can expect all majors and crosses to be volatile, however high liquidity available during this session, allows to trade practically any pair.